Thank you, people of the Internet. Thank you for granting me such sweet vindication. Thank you for saying, emphatically and without a shred of doubt, that cats are not second bananas. 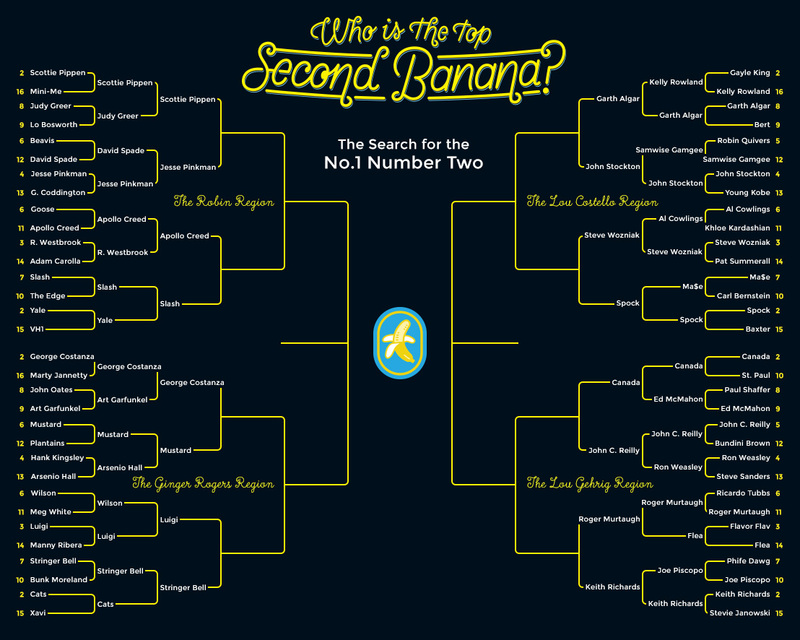 I tried to explain this to my coworkers during the Second Banana bracket planning phase. I tried to make them see reason and listen to sense. I tried to tell them that cats are supreme beings, superior not only to dogs, but also to some of the humans who might not innately accept and appreciate that truth. A couple of my more mentally, emotionally, and spiritually advanced coworkers nodded in agreement; the others called me a crazy cat lady and encouraged me to enjoy the rest of my Grantland tenure, which they predicted I would voluntarily end once cats clawed their way through the bracket to claim their prize as the prototypical also-rans. But you showed those brigands. You showed those fools! 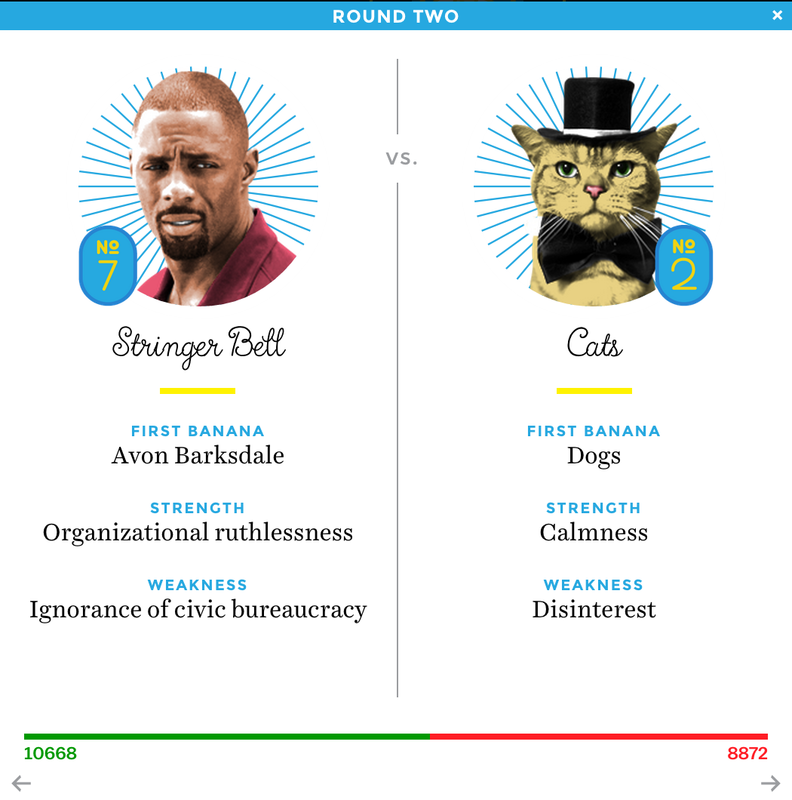 You knocked the second-seeded cats out in Round 2, awarding 10,668 votes to fictional character Stringer Bell and a mere 8,872 to all feline species. Now, I can already anticipate the rebuttals some of the lingering haters are working to form; like your chosen pets, you dog owners are endearingly predictable in that way. 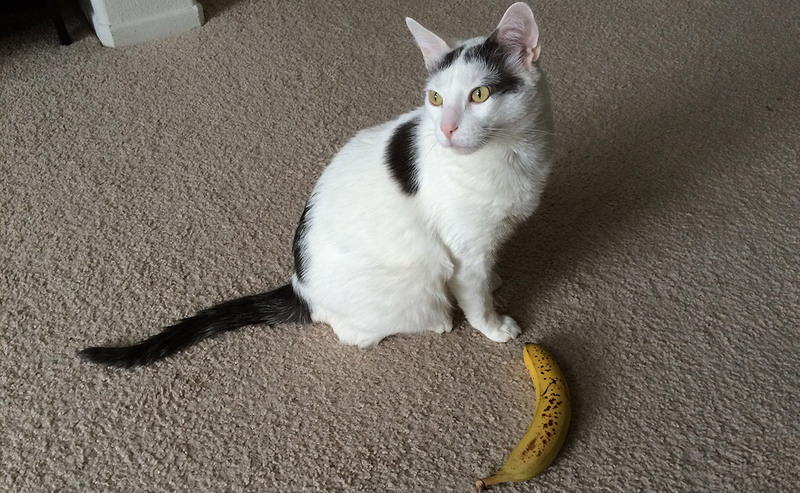 “If cats aren’t second bananas, why did they enjoy such a resounding Round 1 victory?” you’ll ask. “Doesn’t a mere 1,796-vote gap in Round 2 constitute ‘a shred of doubt’?” you’ll wonder. “Have you considered seeking professional help?” you’ll query, in the gentle, quiet voice you typically reserve for small children. I have answers. I have rebuttals of my own, rationalizations and justifications forged at the tender hour of 6 a.m. PT, when I usually wake up to feed my cat his favorite gourmet wet food, empty his litter box, and scratch his hindquarters while he eats. Have I mentioned that I have a cat? That seems like a crucial bit of background information. His name is Halo, and he is a divine creature, a strikingly handsome, stunningly fluffy bundle of love and intellect and cunning. He’s sitting next to me as I type this, sensing my need for love and support and encouragement. Like his fellows, he’s an intuitive sort. But enough about me! We were talking about you, Second Banana truthers, and the naysaying to which you so desperately cleave. Accounting for cats’ 22,495-to-14,257 Round 1 victory over Barcelona midfielder Xavi is such a simple and straightforward matter that I almost pity those of you who can’t bridge the gap unassisted. No matter the subtleties of the cats-vs.-dogs debate raging here, cats are irrefutably first bananas of the Internet age. People can’t help but click when they see those four letters on their computer, tablet, or cell phone screens. It’s rote. It’s reflexive. It’s muscle memory. When Round 2 voting opened, however, the more self-aware among you harnessed your willpower, retracted your trigger finger, and carefully considered the matter at hand. You reviewed the parameters we established at the beginning of this digital journey and asked yourselves if cats really met the second banana definition we had presented. 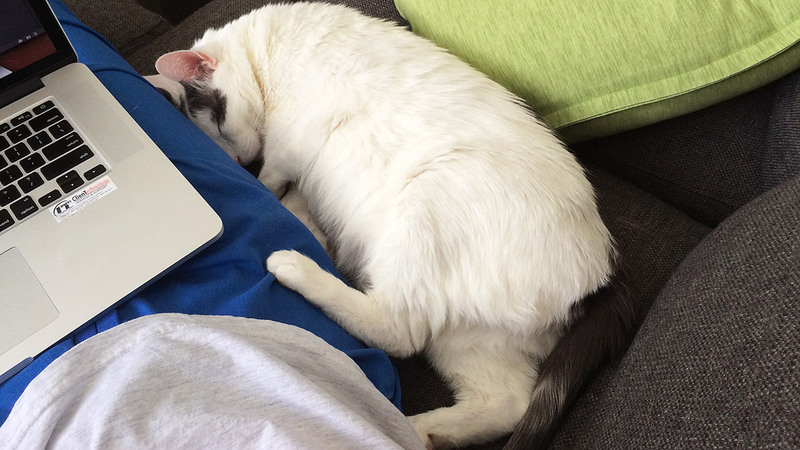 Are cats among “the best sidekicks, supporting players, and partners in crime”? To their humans, maybe, but to dogs? Perish the thought! According to recent data from the Humane Society, there are 83.3 million owned dogs in the United States, but 95.6 million cats. For the less numerically inclined among you: That means cats are more popular than dogs, and last time I checked (on Thursday, on this very website), being overshadowed by a more popular peer is a pretty key part of second bananadom. Sure, there are 1.47 dogs per household compared to 2.11 cats, but instead of letting the skeptics poison the well by noting that means there are more dog-owning households than cat-owning households in this great nation, I’ll interpret those numbers as such: More people are moved by the experience of owning a cat than a dog, opting to stock up on cans of tuna fish and rolls of masking tape rather than cap the number of meowing family members at one. If we read that more people bought a second pair of Nike sneakers than Reebok sneakers, we wouldn’t tout Reebok for the superiority and longevity of its tech; we’d applaud Nike for fostering such remarkable brand loyalty. Furthermore, cats don’t exist merely to make dogs look great. Surely even the canine-loving among us would concede that there’s undeniable merit to a pet that can empty its bladder and bowels without help, bathe and dry itself without getting soapy residue all over the carpet, and be around others of its kind without sticking its nose into their anuses. Undoubtedly even the pooch-preferring out there would confess that there’s appeal in a pet small enough to comfortably curl into your lap but fierce enough to defend itself and its loved ones from foes, and to do so without barking halfway through the night. Even disinterest, the “weakness” my colleagues chose to assign to cats in this bracket, is a mark in cats’ favor when understood correctly. Dogs are sweet and fun and full of love — I like them, and all animals, I swear — but they’re indiscriminate and unrefined. Cats know what they want, and if it isn’t you, you’re bound to interpret that lack of affection as a blight against the breed, when in reality it speaks to your character far more than to theirs. You were raised in the era of participation trophies and entitlement, and you’ve grown accustomed to instant gratification. Cats make you earn their love. You may not be used to that, and you may not like it at first, but like all great quests, it makes for a far more rewarding experience in the end. If Gollum and Saruman and the orcs had stepped aside and let Frodo run into Mount Doom unimpeded, Middle-earth still would have been saved, but the elves probably would have sung fewer songs about it. You know who else misunderstood cats? Ron Weasley, friend of and sidekick to Harry Potter, and a second banana if ever there were one. Ron looked at Crookshanks, Hermione’s fluffy ginger half-Kneazle wonder, and saw a threat, asking why Crookshanks had it out for Ron’s pet rat, Scabbers. The answer, of course, is that Scabbers was really the traitorous Peter Pettigrew in Animagus form, a filthy secret Crookshanks sniffed out before You-Know-Who’s cowardly servant could spend another night sleeping in Ron’s bed. Ron mistook Crookshanks’s protective instinct for murderous intent, his intellect for malice. He aimed kicks where he should have been aiming hugs. Maybe that’s why Ron, a 4-seed, blew through the opening round of this bracket but fell to 5-seed John C. Reilly in Round 2, 11,449 votes to 8,027. It will not surprise you to hear that Ron’s Patronus is a Jack Russell terrier. But where Ron failed, gentle readers, you flourished. You didn’t vote out cats because you think they’re inferior and unworthy of being anointed top second banana. You voted them out because you don’t think they’re second bananas at all.